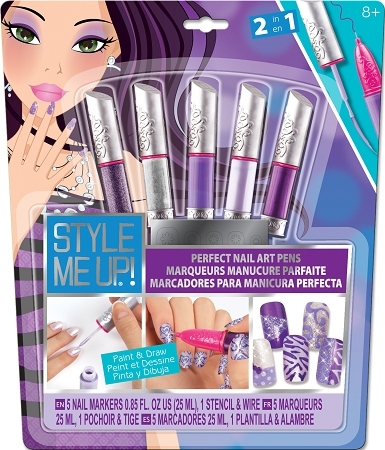 Style Me Up Perfect Nail Markers Assorted - stylish girls nail designs with 2 in 1 nail pens. One has the brush applicator and the other a fine tip for true details. 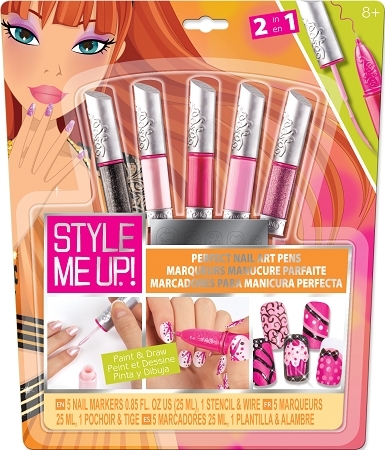 Girls can create perfect nail designs with no mess. Choose your favorite color purple or pink. Girls love it, very easy to use.